There are at least five different economies in Palestine that co-exist with the Israeli economy, and they are all subjugated to Israeli colonisation. Decolonising them is key to real economic stimulus. Is there such a thing as a 'Palestinian economy'? No but there are distinct enclave economies: at least five different economies in Palestine co-exist with the Israeli economy. As these economies are all subjected to Israeli colonisation, decolonising them is a key common strategy to achieve real economic stimulus. A major part of Palestinian economies is the economy of Gaza, which has been in an increasing state of de-development as a result of the eight-year Israeli-imposed blockade and the three assaults launched by Israel in 2008–2009, 2012, and 2014. 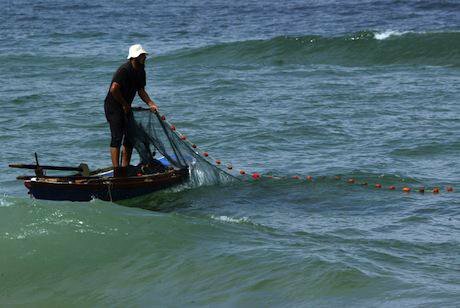 Sea and land restrictions have isolated Gaza’s economy from the rest of the occupied Palestinian territory (oPt), and have heavily curbed Gaza’s foreign and internal trade. Closures and movement restrictions have also paralysed the agricultural, construction, fishing, and industrial sectors. Demotix/Horseman Rapid. All rights reserved. More specifically, the so-called “dual-use” items list—according to Israeli claims, these are products that can be used for military purposes in addition to civilian ones—has decreased the availability of production inputs, increased their cost, and led some industries either to use inefficient mixes of inputs or to drop product lines. Consequently, Gaza’s productive base and its private sector have been severely undermined. These policies, combined with the depleted water, power, education, health, and other services facilities, have rendered Gaza increasingly unliveable by curbing its capacity to achieve sustainable economic growth and realise social change. However, the Israeli siege has given rise to new kinds of economies in Gaza. For instance, in reaction to Israeli restrictions on imports and exports, Gazans have espoused new crop-planning models, such as the multi-criteria model. The goal was to produce crops normally imported, in order to decrease dependency on imports, maximise the use of local resources, and achieve food-security and self-sufficiency in the long run. 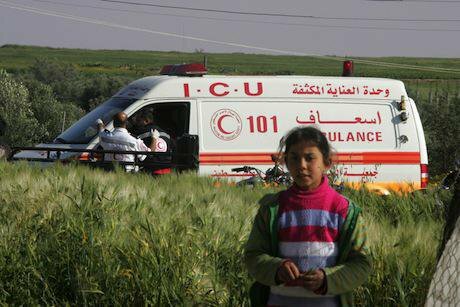 An “agricultural resistive economy” (a term coined by the Ministry of Agriculture) has since emerged in Gaza. An informal tunnel economy has also developed and until recently has been Gaza’s main engine of economic survival and growth. Tunnel trade decreased Gaza’s dependency on the Israeli economy and thus gave Gaza control over its imported goods. 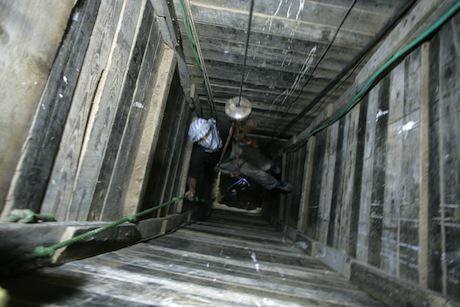 In 2009, the Hamas government sought to formalise this economy by creating a Tunnel Affairs Commission (TAC) that became the regulatory authority for commercial activities. However, this kind of smuggling trade did not generate sustainable growth: markets became saturated with supply exceeding demand, and tunnel trade did not have large benefits on labour-intensive and productive sectors. Moreover, tunnel activity was met with a severe Egyptian crackdown in mid-2013, and this has aggravated the socio-economic and humanitarian crisis in Gaza. East Jerusalem was the commercial, transport, tourism, and cultural heart of the Palestinian nation. However, it has been gradually separated from the economies of the Gaza Strip and the West Bank, and has been integrated into the Israeli economy, in a partial and distorted way. It has become increasingly dependent on Israeli markets for employment, trade, and finance. This marginalisation of East Jerusalem’s economy was caused by Israel's pernicious policies of annexation, isolation, and externalisation, especially through the construction of the apartheid Wall. As a result, socio-economic conditions have been in precipitous decline. Palestinians have been suffering from very high poverty and unemployment rates (75 percent and 17.6 percent, respectively); acute housing deficiency; lack of investment and economic infrastructure; a depleted commercial sector; a tourism sector that falls behind its potential; and dilapidated educational and health services. While the Gaza Strip and East Jerusalem were both economically marginalised and isolated, a neoliberal economy was being developed in Ramallah. The neoliberal economic-development model implemented by the government of Salam Fayyad included institution building; increasing attempts to privatise and reduce interest rates and inflation; a surge in personal debt; growing inequality; multiple openings of western-style cafés, bars, etc. A period of economic growth ensued. However, this phase did not last long and was ultimately unsustainable since it was based on an artificial, donor-dependent economy. Moreover, “growth” was far from being equitable, since it was mainly taking place in areas A and B of the West Bank, whereas Area C remained off-limits for Palestinian development. In fact, Israel’s restrictions on access to Palestinian land, water, mines, and quarries in Area C have created an economy that has been completely sidelined. In opposition to the economies of Ramallah and Area C, Hebron and the southern West Bank have increasingly become the commercial and industrial heart of the oPt. Moreover, whereas consumerism and materialism largely characterise Ramallah nowadays, the southern West Bank is still known for its strong communal and social cohesion, which could be the foundation for building a stronger economy. Meanwhile, new economic “north-north” relations and trade flows are developing between the economies in the northern West Bank (Nablus, Jenin, Tubas, and Qalqilya) and the Arab economy in the Triangle and Galilee localities. These new economic interactions involve the hotel, tourism, and restaurant sector; the retail trade sector; the professional services sector, especially health services; financial, accounting, and legal services; and transit transport services. It is estimated that the total current value of goods and services purchased from northern West Bank markets by Palestinians living in Israel amounts to NIS 1.1 billion annually. Palestinians in Israel are thus becoming a significant engine of the northern West Bank’s economy. Given that there are several Palestinian economies, is there a single strategy to boost them? While it is very problematic to think of a “one-size-fits-all” strategy, one should note that all these economies are subjected to Israel’s occupation and colonisation, and all of them are dependent on the Israeli economy, albeit in different ways. Furthermore, they have all been strangled by the same Israeli hermetic system of physical, institutional, and administrative impediments. The apartheid Wall, fixed and flying checkpoints, earth mounds, trenches, permit requirements, etc., have all had deleterious effects on the movement of persons/workers and goods within the oPt as well as to/through Israel. In other words, Palestinian economies are confronting the same dynamics: constrained access to natural and economic resources; restraints on the transportation of goods; limitations on investment and infrastructure development; and mobility restrictions throughout the oPt. These restrictions, combined with labour-market fragmentation and the on-going process of exclusion, have sapped Palestinian economies and stymied sustainable economic growth and development in the oPt. Thinking within this framework, the decolonisation of Palestinian economies becomes the key to achieving economic advance. There is an urgent need to conceptualise and implement a counter-hegemonic strategy that resists Israeli colonisation and its hegemonic power structures, and that defies the neoliberal model adopted by the PNA. More specifically, the cornerstone of this strategy should be to resist land occupation and dependency on the Israeli economy. 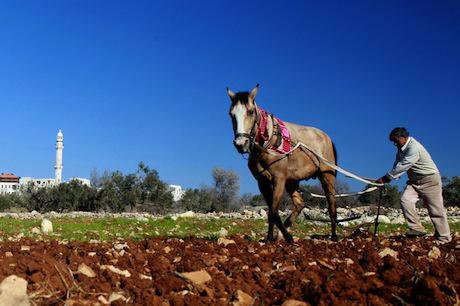 The promotion of the agricultural sector would be crucial in this regard, since it has a strategic role in maintaining Palestinian land and water under the use of Palestinians. Moreover, enhancing the agricultural sector would foster Palestinian productive capacity and disengage it from the stranglehold of the Israeli economy. It would thus facilitate the transformation of Palestinian society from a consumerist to a productive one, and ensure the achievement of food security. Furthermore, as a labour-intensive sector, agriculture has the ability to generate jobs, especially for those who cannot work in other sectors because of lack of education and skills. Demotix/Shadi Hatem. All rights reserved. The industrial sector should also be enhanced in order to foster local production and achieve self-sufficiency and self-reliance. Hence, in the short term, we should focus on promoting industries that are the most profitable socially and economically. In other words, we should expand competitive industries that create employment and produce goods that use inputs that are the least dependent on the Israeli market. Industrial expansion would also increase the demand of technical skills (engineering, chemistry, physics, etc. ), and thus create job opportunities in disciplines that currently face a lack of demand in the Palestinian labour market. The suppression of the flow of goods between Palestinian and Israeli markets is equally important to boost the Palestinian economies and develop their productive capacity. The boycott of all Israeli goods (not only those produced in Israeli settlements) is also crucial to protect local products, raise their competitiveness, and increase the cost of Israel’s occupation and apartheid system. Needless to say, the boycott of the colonising power’s products is a moral duty that should be upheld by all Palestinians. The promotion of “north-north” relations is also essential to resist integration into the Israeli economy. The PNA, local communities, and the private sector should play a crucial role in this regard by giving preferential treatment to Palestinian investors; developing trade fairs to foster trade and investment links; improving municipal services for Palestinian visitors from Israel; organising awareness campaigns about Palestinians in Israel and those in the West Bank to address misconceptions the they have of each other and to fill the leadership gap between the two areas, etc. Equally important is the strengthening of economic links between the economies of the West Bank on the one hand, and those in the Gaza Strip and East Jerusalem, on the other hand. * ‘Strengthening trade and economic interaction between Palestinians in the West Bank and inside Israel: an Arab “north-north” alternative to Israelization,’ Raja Khalidi, 2015. Unpublished. This article was published in the January 2015 issue of This Week in Palestine.